Drive down to Ibiza, a tranquil getaway just two hours from Kolkata. With gorgeous cottages, a poolside bar and lots of activities, you are sure to have a great time. Try booking the Fern Club Room on the first floor – they come with a wonderful view of the lake and are just a stone’s throw away from the main activity zone. The Winter Green Cottages located close to the swimming pool are perfect if you like a bit of privacy. They have offers going on all year round – like the Fern Weekday Delights deal where you get 20% off. Get along your swimsuits – they have a swimming pool (and a poolside bar serving cocktails and BBQ dishes on the side). If you are feeling adventurous, try any of the line-up of activities like archery, trekking, table tennis and more (there’s a cover charge). Best way is to drive down. It takes a two-hour drive to cover the 45kms. They say that they are environmentally sensitive and have taken a few small steps towards conserving energy and water – like the green button, a special feature on bedside control panels to reduce power consumption in the room, and ‘green time’ – an extension of Earth Hour when they shut off the hotel’s lights and ask guests to gather around candlelight – for about 15 minutes. 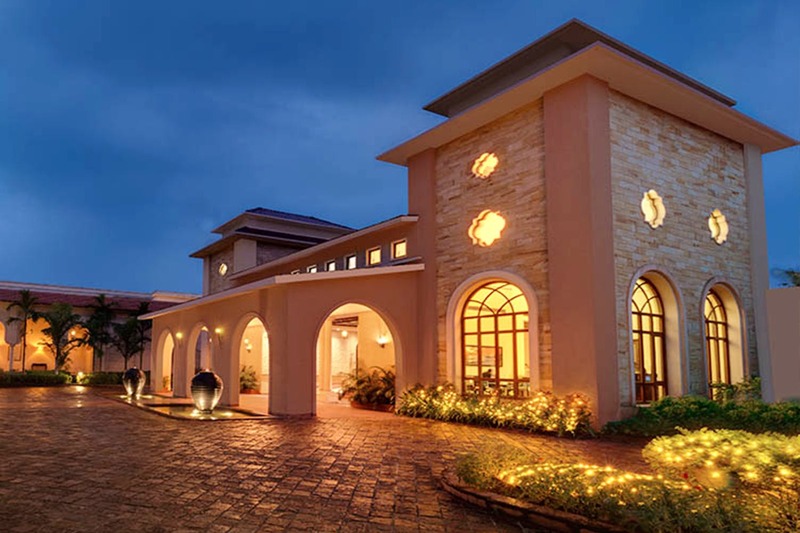 To know more about the resort, take a virtual tour here. Cost: About INR 3,500 to INR 12,800 per night.